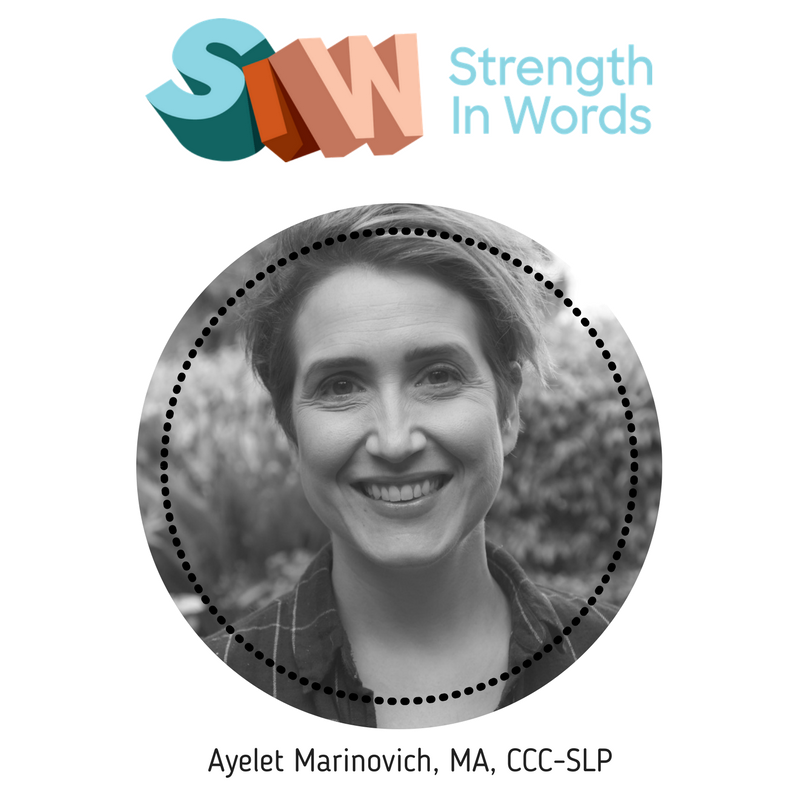 This week I am excited to welcome Ayelet Marinovich, MA, CCC-SLP as a guest blogger for Tandem Speech Therapy. She is the owner of Strength in Words in the San Francisco Bay area. 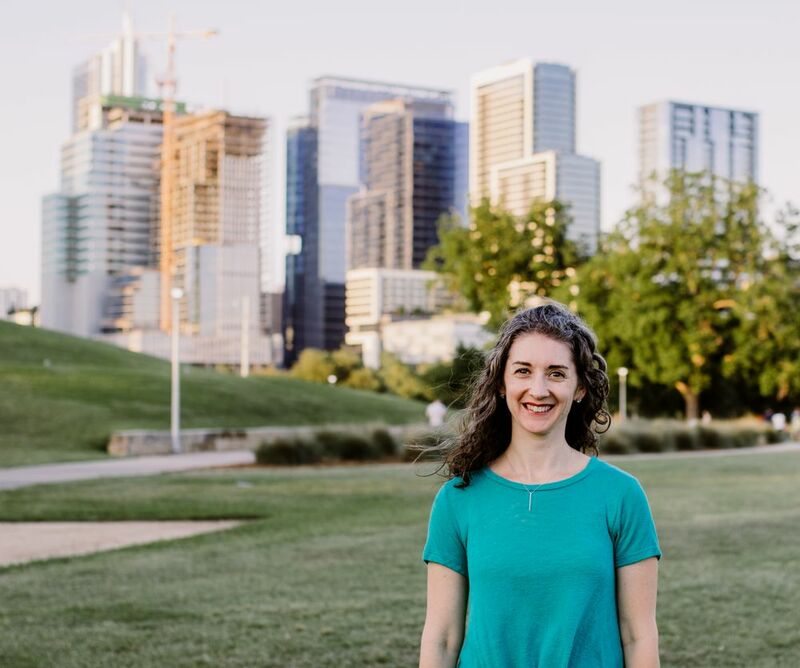 Ayelet specializes in promoting caregiver/baby interaction and supporting parent education through music, play, sensory experiences, and language-rich environments. Many of us have seen, first-hand, the power of music. 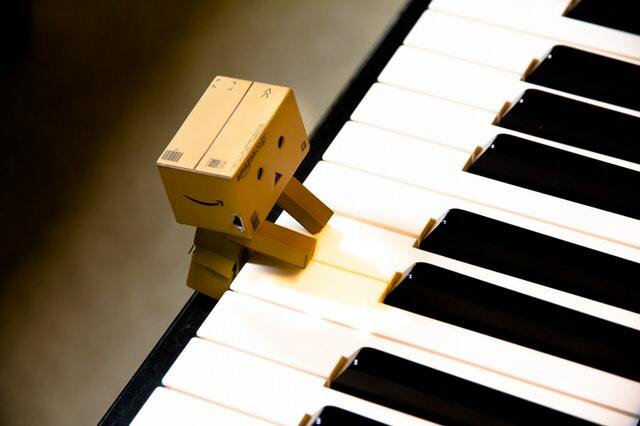 We know that it can capture the attention of young children; we know that playing different kinds of music has an effect on our own mood and state. But what is it about that act of singing to a young child that is so magical? What is the benefit of using music as a tool to support early communication? 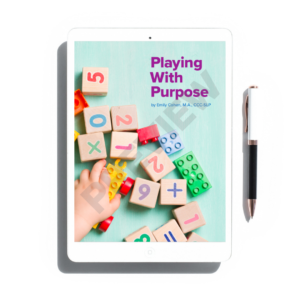 We know that infants and toddlers learn “holistically,” meaning that learning in one area cannot be separated from learning in another.They truly are learning through experience, and in order to do that, each part of learning influences and informs another. 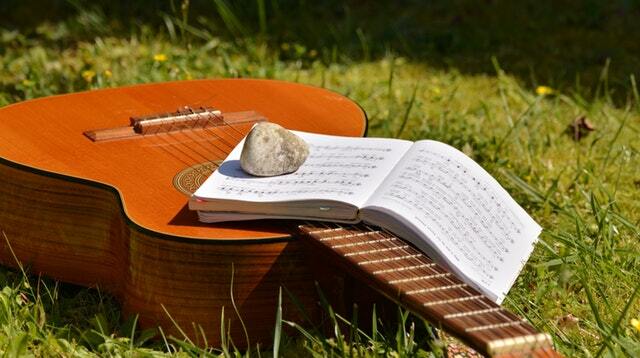 Music is a tool that naturally creates a holistic learning environment. When you move to the rhythm, you are moving your body (either with small or large movements, engaging various muscle groups). When you listen to and sing a melody, it is similar to the intonation in our speech patterns. The various parts of a song (verses, chorus) create a pattern, which we decode, and can then classify the various elements. Finally, we think of musical experiences as a moment of togetherness, where we can look at each other, dance with each other, and play together. So, music really does beautifully address and help to promote all areas of development. You can see how each of these elements is intricately layered on top of one another and is happening simultaneously.They cannot be separated. What is it that singing provides from a speech and language perspective? When we sing to a young child, we model, first, various components of language. We model and make use of the vocabulary in a song.When we sing a song over and over, that provides many opportunities to hear not only the speech sounds of particular words strung together but also exposure to vocabulary. We can add to the experience of that vocabulary by using those words in context, putting music in the context of play or caregiving routines, and singing about actions or concepts we’re engaged with, or the objects and people around us. When we sing, we also model phrasing. In songs, just like in speech, there are complete “thoughts” expressed within a conversation. 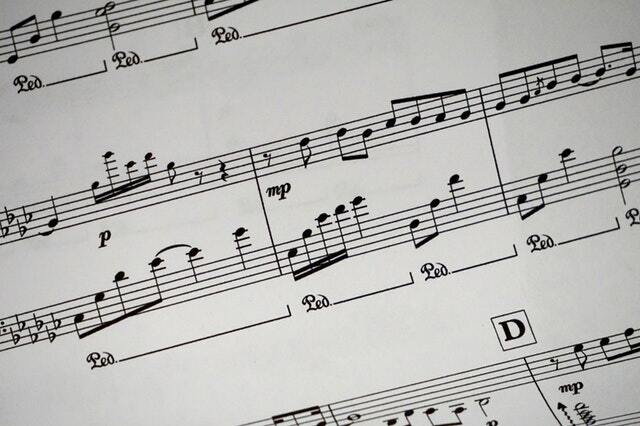 These phrases, in music, are part of an overall structure, grouped by meter and tempo. There are rhythmic rules that govern a song, which sometimes helps to determine the genre of music. When we speak, we use phrases, in the form of punctuation or pauses. We also model grammar by singing within music, just like when we speak. We can model various kinds of sentences, such as questions, commands or statements. In song, we often use rhyming words, which help to call attention to similarities and differences in speech sounds, the technical term for which is “phonemic awareness.” This kind of skill is essential for spoken language ability, as well as for later developing skills like reading and writing. Singing also models the expression of thoughts or feelings. Elements of music such as phrasing, tonality, and tempo affect the emotional quality of a song, and fast or slow rhythms or pauses are used to highlight things like emotional content or to create anticipation. This is a beautiful way to integrate and address aspects of social/emotional development! Finally, singing can beautifully model “joint attention” skills. Joint attention is essentially the shared attention between you and your child upon another “thing” – an object or event. It’s not merely that you are both looking at the same thing, but that you’re both using words, gestures, gaze, or other non-verbal communication to understand that you’re both interested in the same object or event. This is a crucial piece of communication (and something that usually happens sometime in the later part of the first year of life). It’s also crucial to the act of being musical in a group, or with a partner. In engaging in musical experiences with young children, we are inherently promoting all areas of development, including cognitive, communicative, motor/sensory, and social/emotional domains. We are also expressly modeling all different areas of speech and language: speech sounds or phonemes (phonology), small and large units of meaning such as grammatical structures and phrasing (morphology, syntax), specific vocabulary (semantics), and social language such as emotional language and those parts of non-verbal communication like making eye contact and creating joint attentional opportunities (pragmatics). This is why music is so powerful.If we are intentional about creating layers of experiences and approaching musical play from a multi-sensory perspective, involving the auditory, visual, tactile, proprioceptive, vestibular, and gustatory (taste) senses, we can truly enhance a young child’s learning. 10 Great Musicians Every Parent Should Know: a great blog post from Strength In Words! 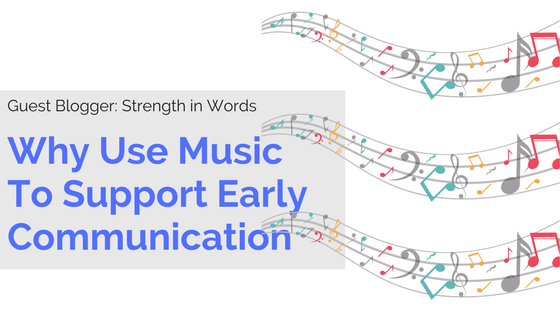 Strength In Words Weekly: a free weekly email outlining simple ideas to connect using musical, early literacy, and sensory experiences! Ayelet is a pediatric speech-language pathologist, parent educator, singer, and mother based in the San Francisco Bay Area. She is the creator of Strength In Words, whose mission is to provide caregiver/baby interaction and support parent education through music, play, sensory experiences, and language-rich environments. She is also the founder of the Strength In Words Community LAB, a community and content hub for early parent support and parent education. Her current passions include spending time with her family, and creating a community of support for families of young children with infants & toddlers of all developmental levels. You can learn more on www.strengthinwords.com. Want to learn more strategies?